Threading valley slopes and granite mountain peaks, historic train routes reveal the raw, enchanting beauty of the East Coast. From open-air food and wine trips to the scenic peaks of Adirondack Park, check out some of these routes to explore more NY. Running up Hurley Mountain from Kingston, the Catskill Mountain Railroad will take you through stunning mountain vistas and winding river valleys where bald eagles, hawks, and wildlife abound. 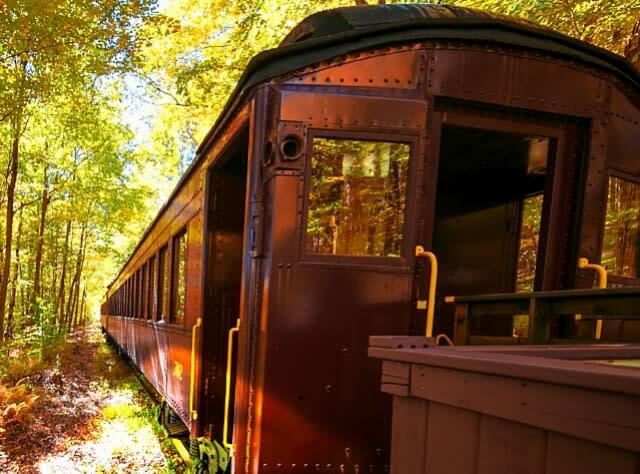 The historic Adirondack Scenic Railroad travels through the six-million-acre Adirondack Park where wildlife, mountain peaks, and wild rivers lie just outside your window. Check out scenic excursions that travel to Big Moose in the Adirondacks, as well as Otter Lake and Utica&apos;s Union Station in Central New York. If you&apos;re looking for a relaxing meal while you ride the rails, travel on the Delaware & Ulster or go back to the Golden Age of railroading on an excursion aboard their elegant Rip Van Winkle Flyer. The Arcade & Attica scenic railways in Western New York feature open-air cars and themed trips.